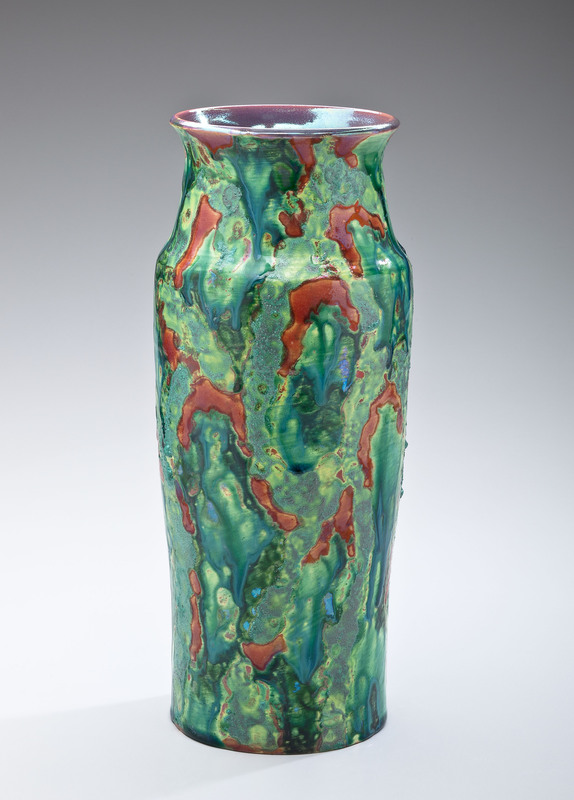 A green luster glazed vase by contemporary master potter, Paul Katrich. The tall graceful vessel is highlighted by a textured green, yellow and brown abstract design, typical of Katrich's work. Signed on the bottom with the Katrich griffin hallmark . Certificate of Authenticity available.